With the Christmas festivities out of the way and the new year looming, have you started your work-wish list yet? Procurement executives are some of the hardest working and smartest individuals I know and are truly having an impact on their organizations. Unfortunately, many business leaders still see procurement as a back-office function. In order to shift this perception, procurement executives need to showcase their achievements in a way that will resonate with the C-suite. For example, rather than talking about costs of goods sold, focus on the return on assets. Or instead of looking at days of inventory, talk about the cash-to-cycle time. These small language shifts can make a significant impact in how the rest of the organization perceives procurement, and might just help land you a seat the executive table. Of course every procurement professional wants to save money and get better prices from their suppliers. But instead of just taking them to bid over-and-over again in an attempt to lower margins, the smarter strategy is to empower your suppliers to become a strategic partner. Your suppliers are experts on that particular material or service (if not, maybe you should find some new ones…) – and should be valued for it! Bring key suppliers into the R&D phase of product development so that they understand what your needs are from the start. While they may be able to provide you with a lower cost alternative or bundle products/services that you’re currently purchasing from multiple suppliers, when empowered, they may also be able to come to the table with innovative solutions to your most complex sourcing challenges – and add new value across the board. The key is forming a flexible, collaborative and value-based partnership. This wish list item may be a little lofty, but we can all dream for a better world! Unfortunately, it’s pretty tough to predict – or stop — the unpredictable. But you can be prepared. Diversifying your suppliers can help mitigate supplier risk and ensure that even if one supplier is compromised — due to factors like weather or political unrest — you’ll still be able to receive shipments of key products. Fully analyzing your spend and establishing full supplier visibility – even beyond the first two tiers of suppliers – will help you to identify where issues may arise, even before they start to affect your supply chain. Hopefully these tips help you get everything you want on your procurement wish list! 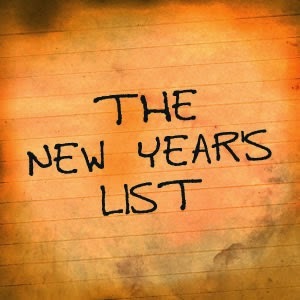 Did I miss anything that’s on your list? I’d love to hear from you! I believe the author has deservedly placed the item #1 on the wish list. Procurement professionals need to look at themselves as business leaders and not as managers of a service group. They need to think of their functional role not in terms of lowest price or on time delivery providers when dealing with suppliers & internal stakeholders but as business leaders who provide end to end cost & service strategy between suppliers and external customers. Essentially, cost reduction translates into profit growth. However, instead of emphasizing the need to reducing the piece prices they need to talk about how they are executing initiatives to drive up the profit growth and improving market share. They have the capacity to create value by providing critical input for new product development & market share gain based on their knowledge of the supply market and supplier capabilities. This approach will place them at par with marketing executives. In short, procurement professionals must move past their tactical role & functional expertise to assume a strategic leadership role and ultimately claim their place at the C-suite.